Today is National Day in Singapore, marking the City State’s 52nd birthday. In 1965 Singapore gained independence from Malaysia. With unfriendly neighbours, limited access to water and no natural resources, Singapore’s Founders had no choice but to use ingenuity, hard work and persistence to build a nation from scratch. 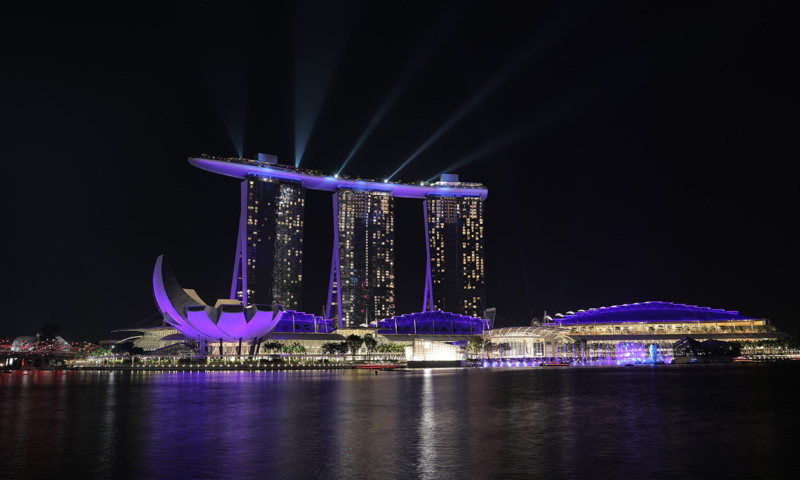 A global audience has since watched on in awe as Singapore has emerged into one of the 20th century’s greatest economic miracles, and one of the wealthiest countries on earth. Singapore’s success can be credited to its exceptional leadership, helmed by its indefatigable founding Prime Minister Mr. Lee Kuan Yew. A key theme for Mr, Lee’s first cabinet was pragmatism. This has driven many of the country’s major, game changing initiatives. From incorporating green building standards into its legislation to successfully capitalising on its geographic location to become one of the busiest ports in the world, Singapore has a legacy of making smart investments to achieve long term prosperity and success. Singapore has always embraced technology as a crucial engine to drive growth. Therefore it’s no wonder that it is leading the charge towards achieving a digital economy. Today, it boasts the fastest internet connectivity in the world. It is also consistently rated as one of the easiest places to do business. The Smart Nation and Digital Government Office launched the SMEs Go Digital programme at this year’s Budget 2017. Their goal was to encourage and support SMEs to drive their growth and success. A highly pragmatic move when you consider that small business represents 99% of all business, employs 65% of the workforce and contributes 47% to GDP (according to the latest data from the Department of National Statistics). The programme is designed to help SMEs build their digital capabilities with productivity tools. These tools include accounting software and CRM tools, as well as data analytics and managing cybersecurity. Singapore is a natural home for Xero. The infrastructure supporting a move towards a digital economy and a recognition of how crucial the SME sector is to overall growth are complementary to our own goal of empowering small businesses with cloud based solutions. Singapore is also the perfect springboard for us as we expand our business across the Asia region. Since opening our office here 18-months ago, we have been consistently impressed and amazed at the speed and efficiency with which we have built relationships and developed solutions and initiatives to support small businesses in the region. We have launched partnerships with leading local and globally recognised banks such as DBS and UOB in Singapore, as well as HSBC in Hong Kong and CIMB in Malaysia. Xero is also working with the local accounting associations that are eager to adopt technology to ensure that Singapore’s accountants and bookkeepers are fully prepared to succeed in a changing environment, and are able to provide strategic advisory services to their small business clients. Now well established in this market with a team of 20, we are looking forward to continue supporting Singapore’s goal to achieving a digital economy by helping empower the nation’s SMEs. The post National Day: Supporting Singapore’s Smart Nation Goals appeared first on Xero Blog.